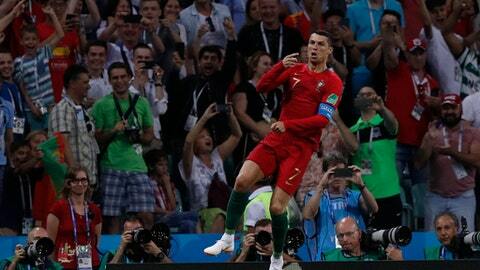 SOCHI, Russia (AP) Cristiano Ronaldo became the fourth player to score in four World Cups and stroked his chin as he ran in celebration. The apparent message? I’m the GOAT, not Lionel Messi. GOAT is the acronym for ”greatest of all time,” and Adidas is running an advertisement featuring Messi with a real goat.